Because reliable preventative care doesn’t have to be complicated. At Life Dental Group, we understand that there is comfort in knowing you will receive quality dental care at an affordable cost. That is why we created the My PrevCare Plan which covers a wide range of routine dental procedures, all for a low monthly payment. 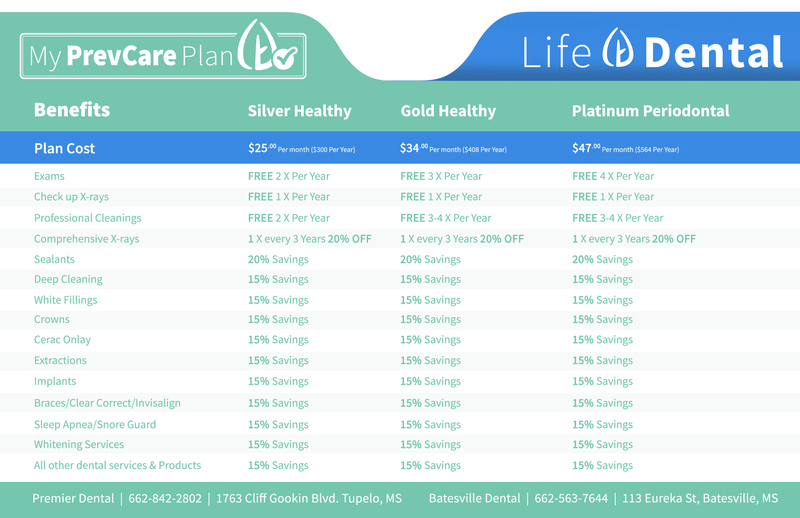 Choose between our Silver, Gold or Platinum plan. As a member of our plan, you will receive consistent, top quality dental care which helps to prevent the chance of needing major dental work in the future – and all for a fraction of the cost!